Driving sleepy? Hungry? Toyota will be highlighting an array of experimental technologies aimed at improving safety and anticipating drivers' desires at the Tokyo Motor Show later this month. 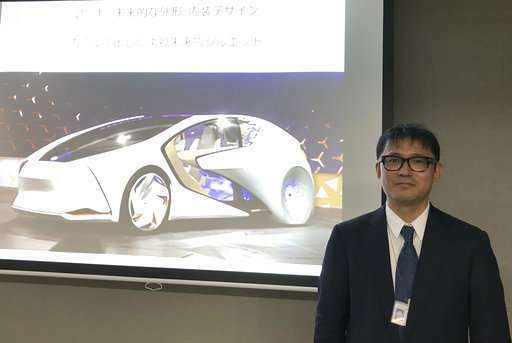 Toyota Motor Corp. manager Makoto Okabe told reporters Monday that the use of artificial intelligence means cars may get to know drivers as human beings by analyzing their facial expressions, driving habits and social media use. Such a vehicle might adjust drivers' seats to calm them when they're feeling anxious or jiggle them to make them more alert when they seem sleepy. It might also suggest a stop at a noodle joint along the way. Despite concerns over potential intrusions into privacy, many automakers will be displaying prototypes of such technologies at the auto show, which opens to the public on Oct. 28. Toyota's Concept-i series of models, on display at the show, is based on the Japanese word for "love," or "ai," which sounds like "I'' in English. 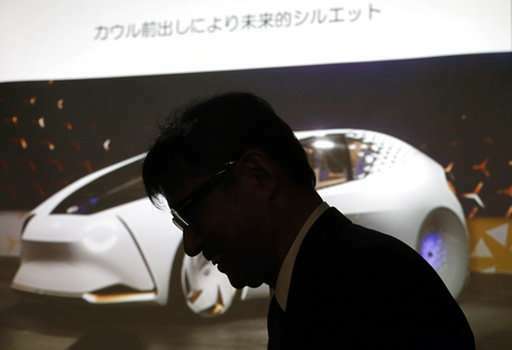 The idea is that your car will become your friend, "more than a machine," Okabe said. Since people tend to make certain movements such as yawning or scratching their cheeks when they're tired, a vehicle could detect if a driver is getting drowsy. It might wiggle the seat or trigger an herbal scent known to be invigorating, Okabe explained. Toyota said it plans to have some of the technology ready for road tests by 2020. Japanese rival Honda Motor Co. is also showing several concept models with similar technologies. The NeuV can determine stress levels from drivers' facial expressions and voice tones, learning their lifestyles and preferences. So it might make suggestions, "realizing natural communication between driver and mobility," a company release said. Despite such futuristic talk, the most vehicles around the world now can do with automated technology so far is using sensors to change lanes or back safely into parking lots or stopping before crashing. "Such a vehicle might adjust drivers' seats to calm them when they're feeling anxious or jiggle them to make them more alert when they seem sleepy. It might also suggest a stop at a noodle joint along the way." Just like a loving mother cuddling her big helpless adult baby. Screw the future.